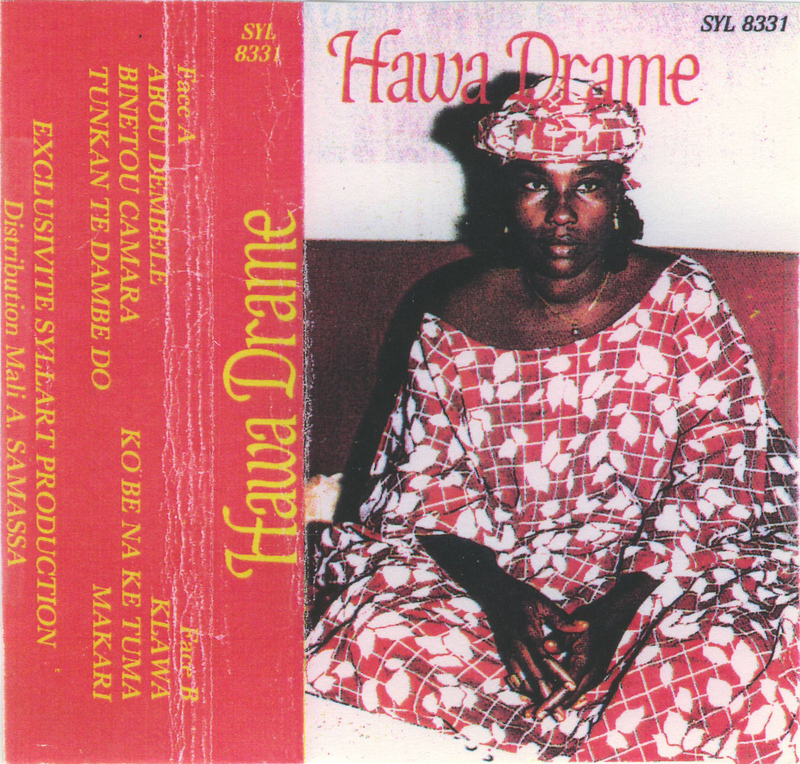 In the first of these I would like to share with you a cassette by Hawa Dramé. Hopefully you have seen (and perhaps even watched) the videos I posted some time ago (here and here). More persistent fans of the classics of Malian music may have even listened to the two (1 & 2) cassettes I have shared*. This cassette is different from those two cassettes in so far that I strongly suspect the recordings on this cassette were all made in a studio. Consequently the sound is more refined, even to the point where it can be called 'delicate'. The songs in this cassette are all deeply rooted in the bambara musical tradition. One may be tempted to call this music 'simple', - but this doesn't do justice to Hawa Dramé's brilliant performance. Take the first song on the B-side for example, "Klawa". The song starts off with a ngoni, which is joined by a second ngoni. Hawa opens after 40 seconds, careful at first; but soon she is in total control. This is her song. The same can be said for all the songs on this cassette. This is one of these cassettes which can last you a lifetime. I still discover 'new' things in the songs, and find that my reaction to the music varies with age, mood, circumstances. 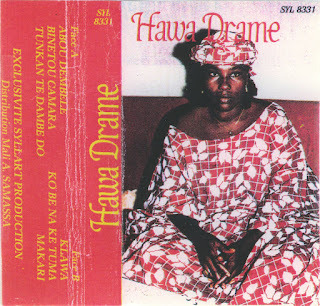 I particularly like the dynamics in these recordings: Hawa Dramé does not go full-blast all the time, but demonstrates that she stay in control in the wonderfully delicate and subtle parts of her songs too. It's really good to have you back. Beautiful sounds yet again. Thanks. No one does it like Worldservice. Thank you very much for this treasure, and blessings for the new year. May it be better than the last. Thank you very much for the music and sharing your knowledge. Having gone through a posterior cervical fusion this past year, I can empathize with whatever you've had to handle. Still, you have all those memories to draw from, and are kind enough to share the music that is part of them. We all gain from that. Thank you for the Dramé cassette, and for everything you've put up here. It's quite the education, on many levels. The Wrlservice back is always an event, you should wait whatever it takes. Only the Bamana or Soninké mystery has not been solved, but hey get into position. If I'm not mistaken, the Djatigui Samaké that held Hawa, came from Karaba. Then take a walk by Karaba in Kamparani and visit the famous blacksmiths Samaké in Mali. Thank you very much, never enough Musique Malienne! We only have One World, and you're by far the Service!! "Imagine All the People, Sharing All the World... Service... You Hou Ouhouhou"
Just (finally) made the first post on my own blog, and added yours to my list, if that's OK with you. @Coltra: Sorry for the delay! Nice!